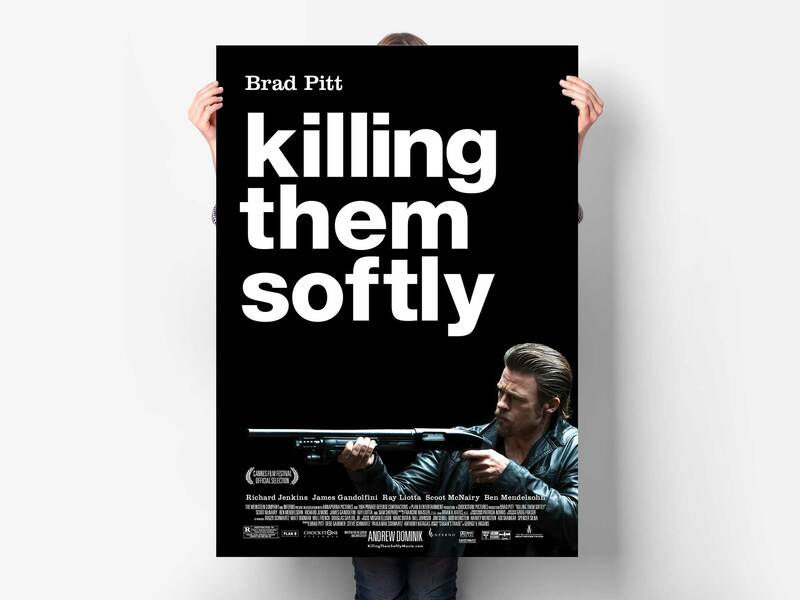 Killing Them Softly is a darkly comic, visceral thriller that doubles as a cautionary tale on capitalism, whose message is delivered with sledgehammer force. The typography used on the poster is intentionally as generic as it gets: Helvetica. It is the most widely used font in advertising, and its use on the poster is a sly nod to capitalism, the central theme of the film. Our favorite quote delivered with unparalleled conviction by Brad Pitt’s character: “America is not a country, it’s a business”.